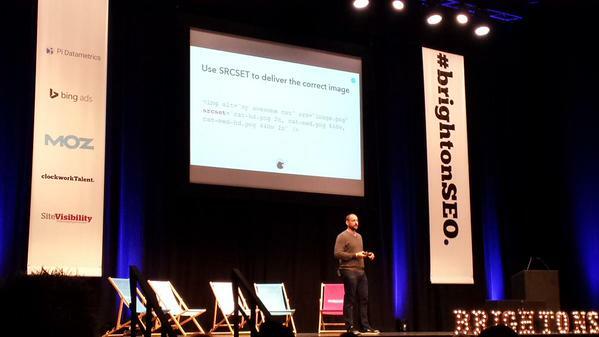 BrightonSEO is a popular search marketing conference which is held twice a year at the Brighton Dome. It welcomes speakers from all over the world offering their expertise and advice on common themes throughout the search industry. On the 18th September, the Dome once again welcomed marketers from far and wide for yet another conference and I was lucky enough to attend for the first time! 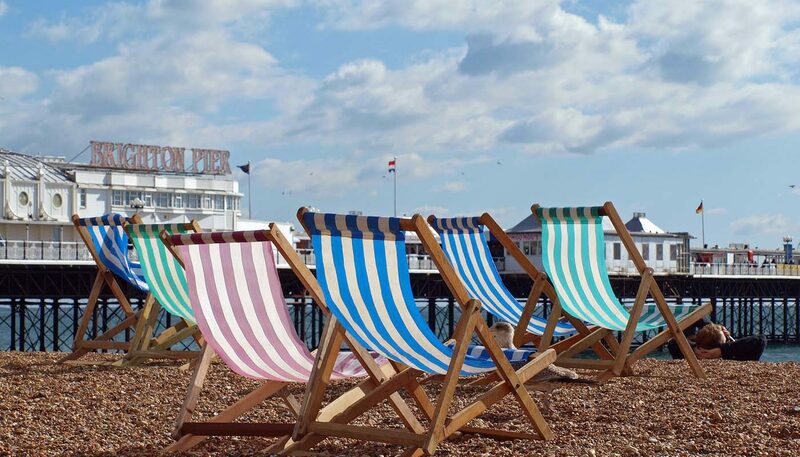 I woke up bright and early, met with some colleagues from Vertical Leap and boarded the train to Brighton from Portsmouth (coffee in hand, of course!). Upon arriving at the Dome you enter into the registration area where you’re given a welcome pack with knick-knacks, a free drinks voucher for the after party and your lanyard, which has your name and your company written on it to help with socialising. You then enter a room which is set up with stalls from well-known search companies such as SEMrush and Screaming Frog. Here you can find out information and ask questions to their representatives before the talks start. Each session consists of three speakers giving 20 minute talks on the same topic. The sessions start at 9:45am and are spread across four stages, with different topics going on at each one. The first session I attended was held in the Dome Concert Hall and was based around content. The speakers here were Stacey MacNaught, Hannah Thorpe and Christoph Cemper. Stacey spoke quite a lot about the promotion of content, which is directly relevant to my role. She explained that monitoring the success rate of outreach and promotion is just as important as creating the content itself. 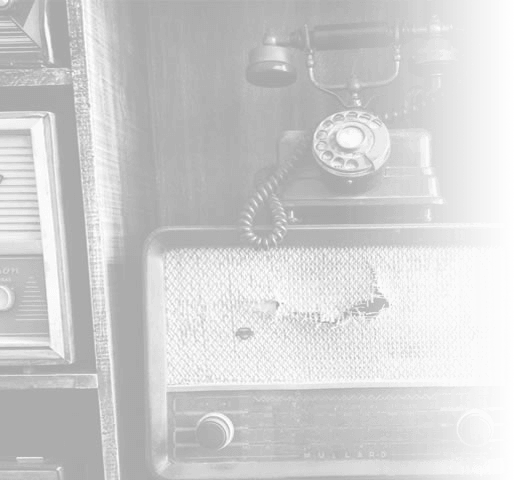 Stacey recommended using something like MailChimp when it comes to outreach, as this allows you to monitor how many people open your email and who they are – perfect for identifying weak areas in your strategy. When coming up with content ideas, Stacey suggested using tools such as Google Display Planner to help expand on topic focus areas. She also recommended using YouGov Profiles to help give you an idea of your audience. This tool allows you to enter information and it will tell you who your likely audience is. This is great for identifying age groups (for example) and building your strategy around their needs. You should also go direct to the source. Using Google Surveys – or other survey tools – to ask your audience what data they would like to see is a great idea. For example, putting up two different versions of an infographic in a survey and asking your audience which they prefer can be massively beneficial. Hannah also spoke about content ideas, touching on some useful tools. She mentioned one called Answer the public which allows you to type in a subject and it will give you all of the questions that people have been searching for online. Thankfully, we already had this insightful data thanks to our own platform, Apollo! After a quick 15 minute break, it was back into the concert hall for a session on mobile and local SEO. The speakers for this session were Greg Gifford, Gary Illyes (from Google), David Mihm and Jon Henshaw. Gary spoke about mobile search and how, alarmingly, only one fifth of pages on the internet are actually mobile-friendly. He explained that, moving forward, Google will be looking a lot more at mobile search as it believes this to be one of the biggest areas for user-friendliness. He recommended app indexing, to allow any apps to show up in the new mobile search function, as this shows them in the SERPs if they relate to what’s been Googled. He also told us about the new function ‘Google Now On Tap’ which allows users to select something in another app, for example email or message, select a certain word and then choose from a menu of different search functions. Gary gave some great advice on local SEO. He brought to our attention that, when it comes to local, we in the UK are lucky because most changes that are rolled out by Google happen in the US first. Pay attention to these changes and prepare yourself for them to avoid any nasty surprises! He added that, should you have branches of your company in different areas, you need to ensure you have social accounts and pages on your site that mention the area name. Focusing on local websites, even if they have a low domain authority, can be very beneficial for local SEO as these are more relevant to the area. After lunch and an afternoon break, we moved into the Old Court House across the road from the Dome for a session on localisation. The speakers for this session were Emily Mace, David Whatley and Jackson Rawlings. Emily (who is an ex-Vertical Leap-er!) spoke about how to ensure your site gets picked up in the country you’re aiming for. She stressed that making sure your site is in the right language is vital for international search. If you show up in the SERPs in another country but your site is still in English, users aren’t going to click on you. You should also provide an override setting for languages on your site. A simple drop down to select your country works very well as people could want to visit their home site whilst abroad. By 6 o’clock at BrightonSEO the after party starts where you can enjoy a drink (or five) and mingle with other people in the industry. A perfect end to the day!